This antique Placer Mining Claim was found in a rusty metal box by a hiker in a remote area of the Sierra Mountains in Northern California. 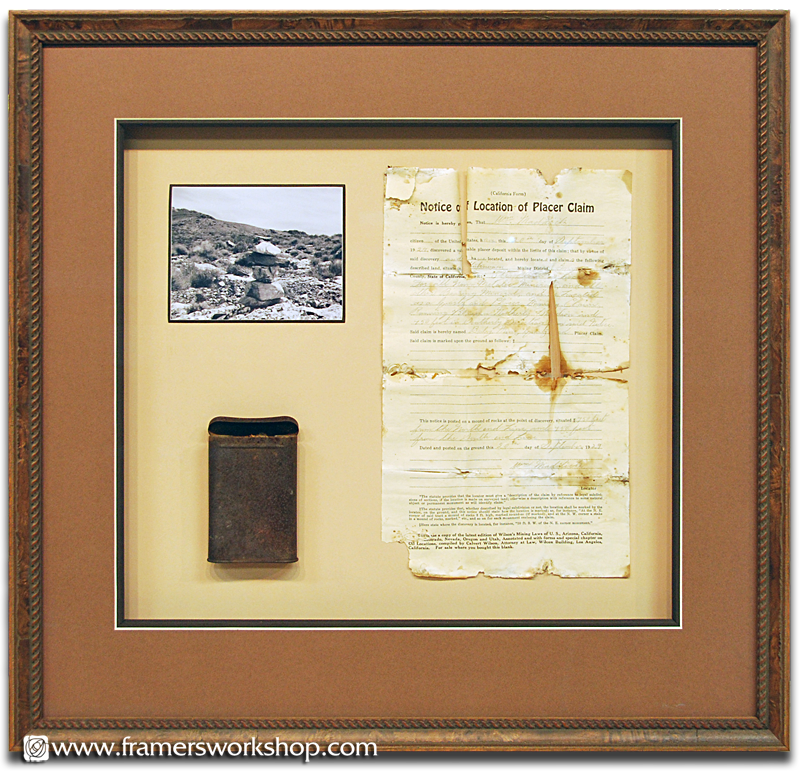 Instead of having it restored, he wanted it framed exactly as he found it. the photograph shows the area where he found the claim. We carefully hinged the claim using Japanese rice paper and wheat starch. The metal box was attached with invisible thread in three locations. The mats are raised and finished with a Larson-Juhl frame.